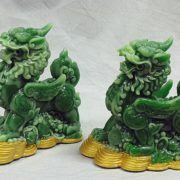 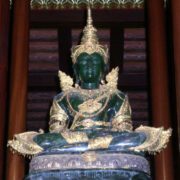 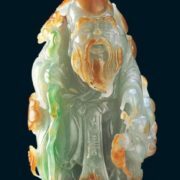 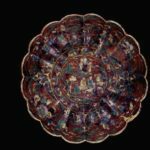 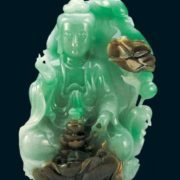 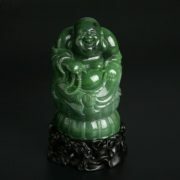 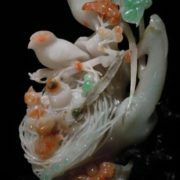 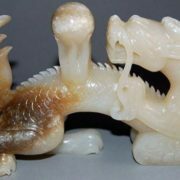 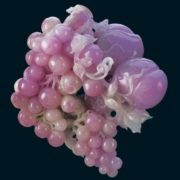 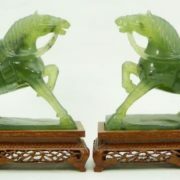 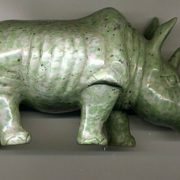 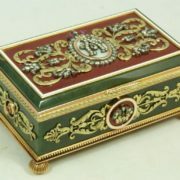 Imperial seals, insignia of noblemen, household and religious objects, bowls, cups, beautiful vases, various figurines, fragrant bottles, chess pieces, jewel and, of course, statues of Buddha in temples were made of nephrite. 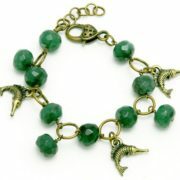 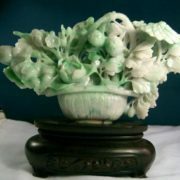 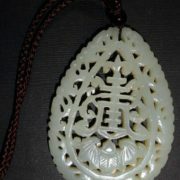 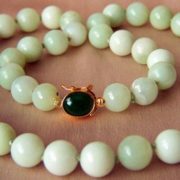 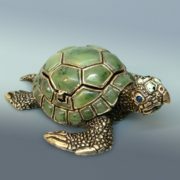 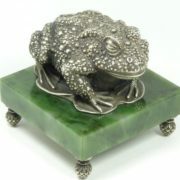 Jade was called the gemstone of heaven, earth, wisdom and eternity. 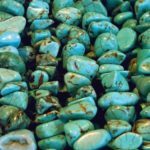 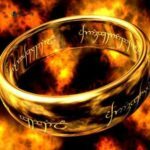 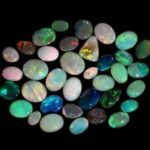 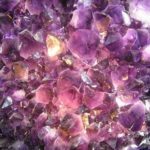 In ancient Egypt, the gemstone was considered sacred, the priests used it in magical rituals, making contact with the realm of the dead. 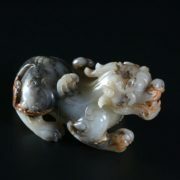 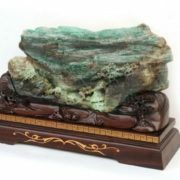 Nephrite was associated with magic and power, it was used only by pharaohs and noble people. 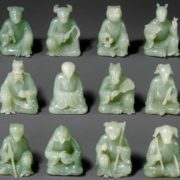 For the Turks, nephrite was a victory stone, it was used to make the weapons – knives, axes, swords. 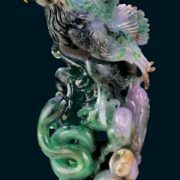 The Mayan goddess of waters, was portrayed as a woman in a jade skirt with a jade necklace. 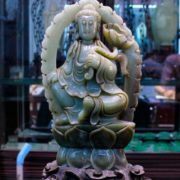 For many peoples jade has become a talisman that brings success, wisdom, happiness, and guards against wounds, gives courage and strength, leads to victory. 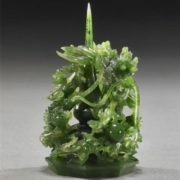 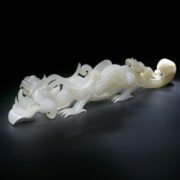 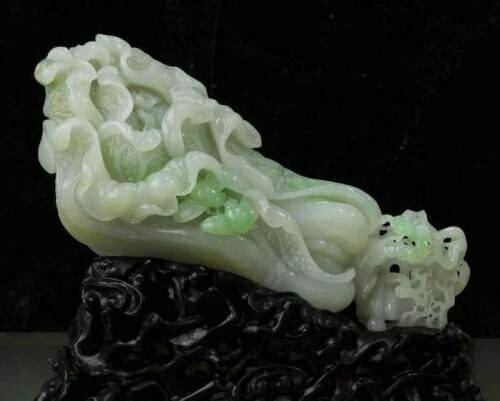 English Queen Victoria had an excellent jade scepter, sent as a gift by the Chinese emperor. 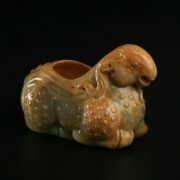 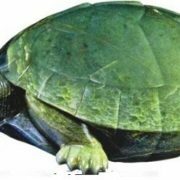 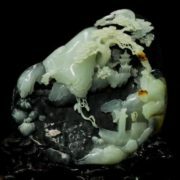 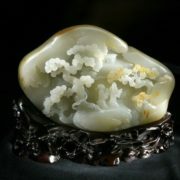 The most common is a green nephrite, which is a kind of actinolite. 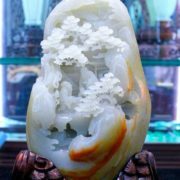 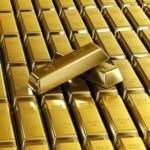 Its chemical formula is Ca2Fe5[Si4O11]2(OH)2. 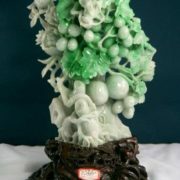 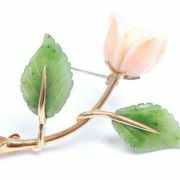 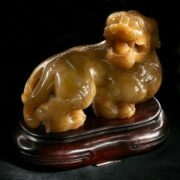 There is nephrite, which is a kind of tremolite, and its chemical formula is Ca2Mg5[Si4O11]2(OH)2. 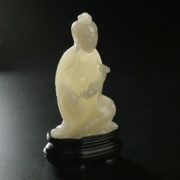 This nephrite is white.